No matter how careful you may be, accidents happen. Sometimes, these accidents can result from the careless, reckless or negligent actions of someone else. When that happens, there may be various legal remedies for holding the negligent party responsible – and for seeking compensation for the accident-related losses and injuries. The Fort Wayne lawyers at Finderson Law, LLC have more than 20 years’ experience advocating the rights of the injured and helping them hold negligent parties accountable. Diligent, dedicated and compassionate, we can help you build a strong personal injury claim and pursue the financial recovery you deserve. Taking the one step to contact us can help you protect your rights and interests. It can also put you on the right course to compensation and justice. In the meantime, please explore the following to learn more about our personal injury practice areas and how we can help you with different claims. Click the headings for further information about a specific type of claim. If you’re regularly on the road, whether driving or as a passenger, the chances are that you’ll be in at least one car accident in your lifetime. While the aftermath of a car accident can be difficult, so too can knowing that your wreck could have been prevented if not for some act of negligence. When it’s time to identify all negligent and liable parties for a car accident, an attorney at Finderson Law, LLC can provide invaluable help and insight. Our lawyers can also help you defend your rights and interests as you proceed with your claim, minimizing the possibility that insurance companies (or others) will try to compromise your financial recovery. Motorcycle wrecks commonly cause catastrophic, if not deadly, injuries. While any number of factors can cause motorcycle accidents, the negligence of motorists is commonly to blame. In some cases, equipment manufacturers, repair shops and other parties – in addition to negligent motorists – can also be responsible for compensating victims. Filing a motorcycle crash claim against the liable party (or parties) can help injured riders pick up the pieces and secure the compensation they need to restore their lives. Truck accidents can be caused by the negligent actions of truckers, other motorists and trucking companies. In some situations, negligent shippers or equipment manufacturers may also be to blame. Figuring out all available legal remedies after a truck accident can require the help of a skilled lawyer at Finderson Law, LLC. And that can be pivotal to setting up your claim, as well as your financial and overall recovery, for success. When accidents occur on others’ properties, it’s important to determine whether the oversights, carelessness or negligence of a property owner was involved. Whether you were hurt in a public or private setting, you may be able to hold the property owner, building manager or someone else accountable for contributing to your accident and injury. If you or someone you love has been hurt by some type of negligence, contact a Fort Wayne personal injury lawyer at Finderson Law, LLC to get answers about your potential claim. Call (260) 420-8600 or email us to set up a free, no obligations initial consultation and discover more about your legal options for financial recovery. Working tirelessly to build the strongest possible case, relieve our clients’ stress and bring their claims to favorable outcomes. With Finderson Law, LLC, you can count on receiving the highest quality representation and personal legal service regardless of the value of your claim. 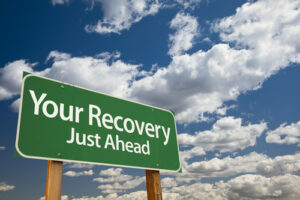 We don’t charge any fees unless we obtain a recovery for you. This means that you have nothing to lose and potentially a lot to gain by contacting us to find out more about your legal options. Please don’t hesitate to contact us to find out more about how our representation can make all the difference in your claim.